Managed by company founder Ray de Bono, Dmax blog page is an extension of the official site www.dmax.tv and www.dmaxepaper.com providing news, studies and announcements related to branding, IT & mobile solutions amongst other noises. I am concerned that this indirect announcement on behalf of the British through the Iraqi government is nothing but a likely smoke screen behind the UK's official retreat from the Iraqi front. Why didn't the British announce it themselves, if their job was finished well? Are they trying to give the impression the Iraqis support such a retreat from an essential member of the US coalition thus acknowledging they are now ready to take over the country's administration? Many agree that the Iraqi mission is a non finished job. The Iraqi troops are ill-trained, ill-equipped, lack morale and are reported to be infiltrated with Islamists and Jihadists ready to blow themselves at the right moment. The state of security for the average citizens in Baghdad, Basra and other parts of the country leaves much to be desired. 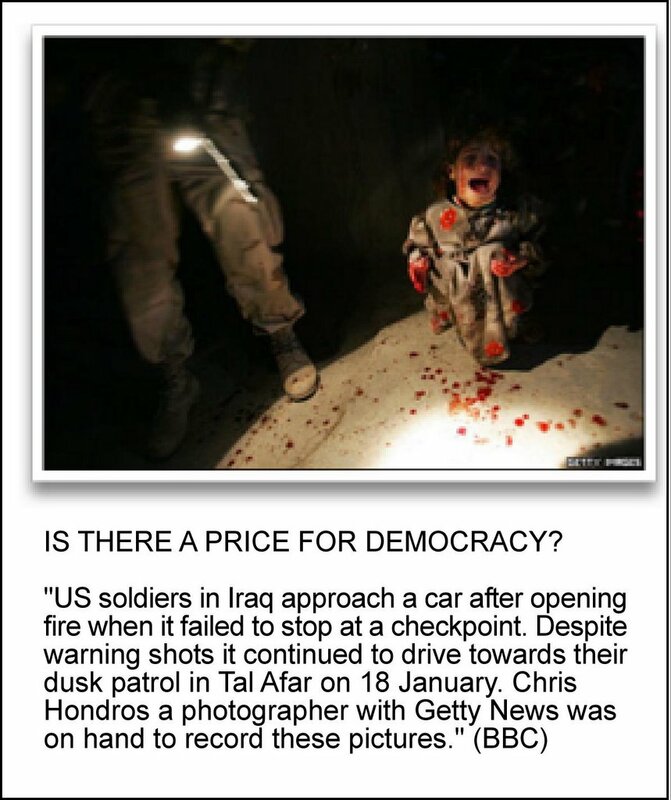 Iraqi police get blown up many times daily so much so that it stopped being headline news. But they are selling it as a ready job. They are portraying Iraq as free and democratic country since they had elections, and have a new consititution. Will the US announce a similar glorified retreat soon, too? Mr Talabani (Iraqi President) said an immediate withdrawal would be a "catastrophe"
British troops could leave Iraq by the end of next year, the country's president Jalal Talabani has predicted. But he warned an immediate withdrawal of multinational forces rather than a gradual one would be a "catastrophe" for Iraq and would lead to civil war. He told ITV1's Jonathan Dimbleby programme Iraqis did not want foreign troops to remain indefinitely. "Within one year....Iraqi troops will be ready to replace British forces in the south," he said. The head of the British Army, General Sir Mike Jackson, told BBC 1's Sunday AM programme the timetable was "well within the range of what is realistically possible". However he added: "What we are trying to achieve is a set of conditions at which point we have the confidence and more importantly the Iraqi government and the Iraqi people themselves have the confidence that they can now fully stand on their own feet - that there is no requirement to be supported by the coalition. "And when those conditions come together then the time will be right." The BBC News website's world affairs correspondent, Paul Reynolds, said: "The significance of what Mr Talabani has said is he has put a target date where nobody had dared to do so before. "However this remains a hope not a policy. The policy is that the British troops will leave when the job is done and this is not changed." Mr Talabani was pressed on whether his prediction of UK troops leaving "at the end of 2006" amounted to a commitment. The Kurdish leader said he had not been in negotiations and it was merely an "estimation of the situation". "There is not one Iraqi that wants that forever the troops remain in the country," he added. The Iraqi leader said he understood the British people were eager for their troops to return home. He said: "British people have full right to ask this, their sons coming back home, especially if they finished their main job, which was the ending of dictatorship." Mr Talabani called for a gradual pull-out, with close co-ordination between coalition nations and the Iraqi authorities. To support his stance, he issued a stark warning of a "catastrophe" in the event of an immediate withdrawal. He said if his country descended into civil war, it could have harmful consequences for the whole Middle East region. Mr Talabani said: "It would lead to a kind of civil war and... we will lose what we have done for liberating Iraq from worst kind of dictatorship. "Instead of having a democratic, stable Iraq, we will have a civil war in Iraq, we will have troubles in Iraq [and they] will affect all the Middle East." He acknowledged that an upsurge of violence could be expected in the run-up to National Assembly elections scheduled for 15 December. However, he rejected suggestions insurgents would have an impact on the result. He also denied there was a link between Britain's involvement in the Iraq war and the 7 July terror attacks in London. Yes, folks. Malta was full of trees. It is reported in history books by many travelers that heralded to our shores, some willingly, like Al Himyari (http://en.wikipedia.org/wiki/Harbi_al-Himyari), others accidentally, like St. Paul, the bearded chap in robes, you remember him? They all reported on how green the island was, covered with woods, and inhabited by a relentless humanoid species, which our patron saint aptly referred to as Barbarians (grazzi ta Sur San Pawl, ey!). Souring over our barren land? Will I ponder on my days afar? Will I yearn for your arms and cry? Will I despair in a lonely chill? Will I hold your hands in mine? Will I close my eyes and sigh? Will lost loved ones linger on the other side? I run a firm (www.dmaxstudios.co.uk) offering online solutions and corporate branding services with operations in Malta, Belgium, UK and Germany. My personal interests include European and Maltese current affairs, history, business news, information technology and the arts. My expressions are personal and do not necessarily represent the opinions and believes of Dmax's team, fellow directors, shareholders and associates. What did we fight for, Mr Bush? Look Who's Doing it Now!